The software platform The Financial Planning Group uses to manage our clients’ investment portfolios has been recognised by an independent panel of judges, chaired by Personal Finance Society chief executive Keith Richards, as the best platform provider for funds over £25bn. 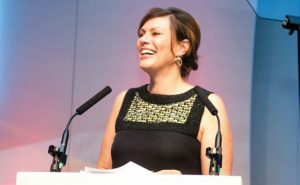 The prize was announced at the Schroders UK Platform Awards and presented by BBC journalist and Strictly Come Dancing contestant Kate Silverton last week. This prestigious recognition further underpins our companies commitment to using the very best investment platform in the market place to ensure our clients benefit from a financially robust and competitive solution – one that optimises the very latest technology for their benefit. Regular communication with our clients is also important to us – we are proud of the service we provide and the relationships we build with the individuals, families and businesses we represent.